The Abu Dhabi Fund for Development (ADFD) said that it has allocated nearly Dh11 billion ($3 billion) for development projects in the education and healthcare sectors to elevate the standard of living in developing countries and eradicate global poverty, a media report said. In a report marking International Day for the Eradication of Poverty, which is observed on October 17 every year, ADFD, the leading national entity for development aid, highlighted its mission to help developing countries achieve sustainable economic growth and reduce poverty, reported Emirates news agency Wam. ADFD provides concessionary financial resources in the form of loans that satisfy concessional conditions in accordance with the requirements of the Organisation for Economic Co-operation and Development, OECD. The ADFD also manages Abu Dhabi government grants. In cooperation with international financial institutions, the ADFD has worked to increase spending on key sectors such as health, food security, transport, housing, education, water, agriculture, and energy in order to reach the goals outlined by the United Nations Sustainable Development Goals, SDGs, as well as to achieve social and economic growth in developing countries. Over the last four-and-a-half decades, ADFD has disbursed Dh81 billion in concessionary loans and government grants across 88 countries. 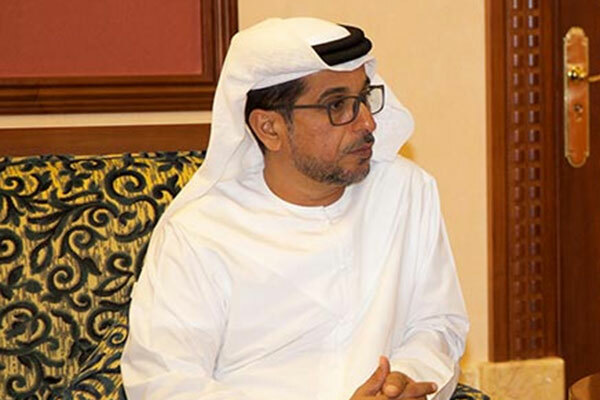 Mohammed Saif Al Suwaidi, director-general of ADFD, said, "The international community is taking great strides to improve the economic and social situation in many developing countries, which suffer from high rates of poverty and unemployment and the deterioration of health services and education. The International Day for the Eradication of Poverty is an opportunity to further mobilise international efforts and boost cooperation, ensuring the creation of job opportunities and overall socio-economic well-being." Al Suwaidi added, "Over the years, the ADFD has intensified its efforts to finance health care as well as education projects, in particular, to reduce poverty rates and increase the standard of living in beneficiary countries." In addition to supporting sustainable development in key socio-economic sectors, the ADFD aims to reduce poverty rates by contributing to the healthcare and education sectors. Among the strategic healthcare projects funded by ADFD is the 200-bed children's hospital in King Hussein Medical City in Jordan. The fund earmarked Dh73 million for the first two phases of the project. Fitted out with the latest medical equipment to offer specialised care and treatment, the hospital has contributed to the development of the healthcare sector in Jordan by enhancing the quality of health services available to its citizens. The ADFD also supported the expansion of King Hussein Medical City through the allocation of Dh735 million for the construction of a new 940-bed hospital, a state-of-the-art facility that can accommodate more than 1,200 patients daily. The ADFD also funded the Al-Bashir Hospital and the King Hussein Cancer Centre in Jordan. In Pakistan, the ADFD provided Dh94 million to build the Emirates Hospital, an integrated specialty medical centre with 1,000 beds. The facility has the capacity to receive 6,000 patients daily. The hospital is also equipped with laboratories and lecture halls to train military personnel and civilians to perform medical duties. In the Seychelles, the ADFD funded a Dh16.3 million integrated healthcare project that seeks to provide high-quality healthcare and treatment at an affordable cost. In Turkmenistan, the fund allocated Dh 43 million for the development of a series of integrated health projects that aim to improve the quality of healthcare services offered by the government. The project involves the construction of specialty hospitals to treat complicated diseases in a bid to reduce disabilities and mortality rates among the population. The ADFD also financed the construction of the Dh16 million Sheikh Khalifa Hospital in the Comoros and a Dh 562 million cardiac centre in Bahrain to reduce the pressure on specialised heart disease treatment facilities in the country. In line with the Pakistani government’s development goals, the ADFD has played a crucial and supporting role in improving and advancing the country’s education sector. In 2013, the ADFD managed a Dh46 million grant earmarked for training colleges. This project led to the construction of three training colleges for individuals living in remote areas, including Warsak College in the Khyber Pakhtunkhwa province, and Wana College and Spinkai Cadet College, both of which are located in South Waziristan. In 2009, ADFD allocated Dh7 million to fund expansion works at the Sheikh Zayed International Academy, SZIA, in Pakistan. In Afghanistan, the ADFD managed an Abu Dhabi government grant worth an estimated Dh27 million to develop the Sheikh Zayed University in Khost Province. This grant helped source and enhance specialised faculties at the university, particularly in the fields of medicine, engineering, law, arts, literature, and education sciences, among other diverse disciplines. The project also includes vocational career support initiatives to prepare all students for employment and equip them with knowledge and capabilities to overcome socio-economic challenges. In Morocco, the fund managed an Abu Dhabi government grant worth Dh239 million. The grant helped purchase equipment for the 916-bed Mohammed VI University Hospital in Marrakesh, a specialist medical complex that spans 8.8 hectares.